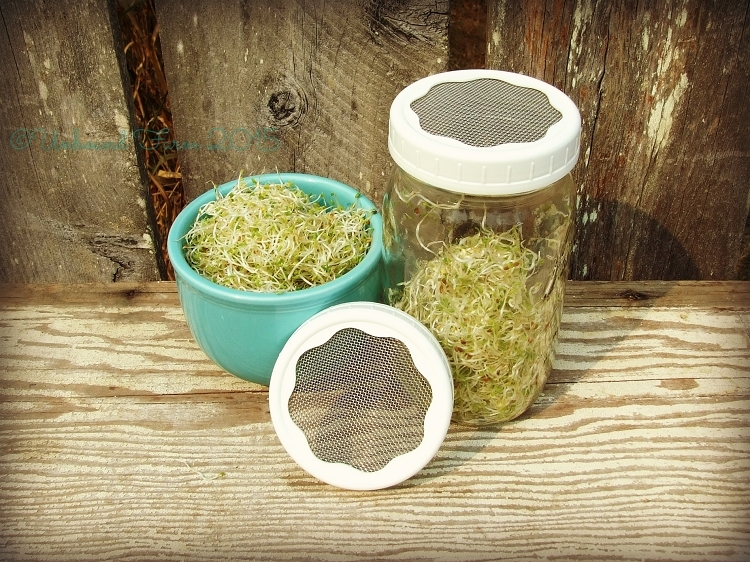 SPROUT LID - Sprouting: alfalfa sprouts, bean sprouts, seeds for eating and for the garden. Straining: kombuch, water kefir, tea, tincture, juice, broth. Soaking: nuts, almond milk, seeds, legumes. Dusting: cocoa, sugar, flour, spices, seasonings, powder for the kitchen or any powders that need to be dusted on your garden, or pet such as diatomaceous earth. 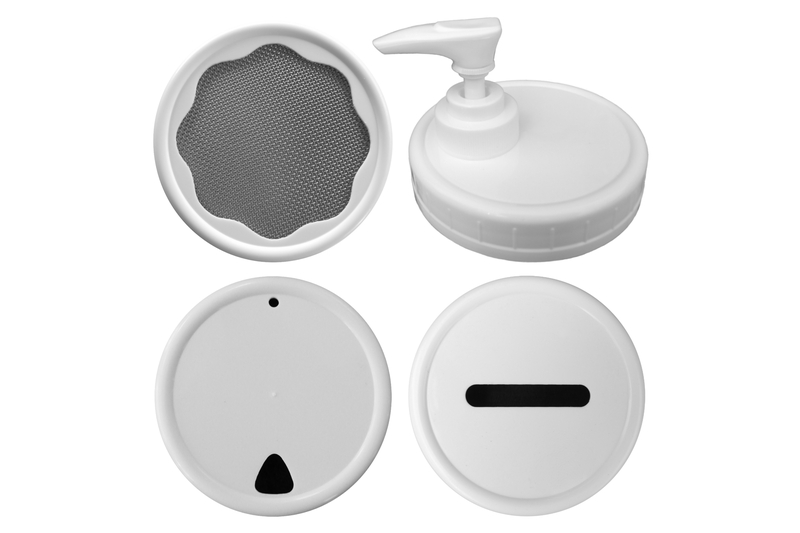 These lids are made of high quality, corrosion resistant, stainless steel and BPA free plastic. They are designed to easily fit on standard canning jars. Their one piece construction makes them easy to use and the screen can be removed for cleaning if necessary. They are dishwasher safe top rack. 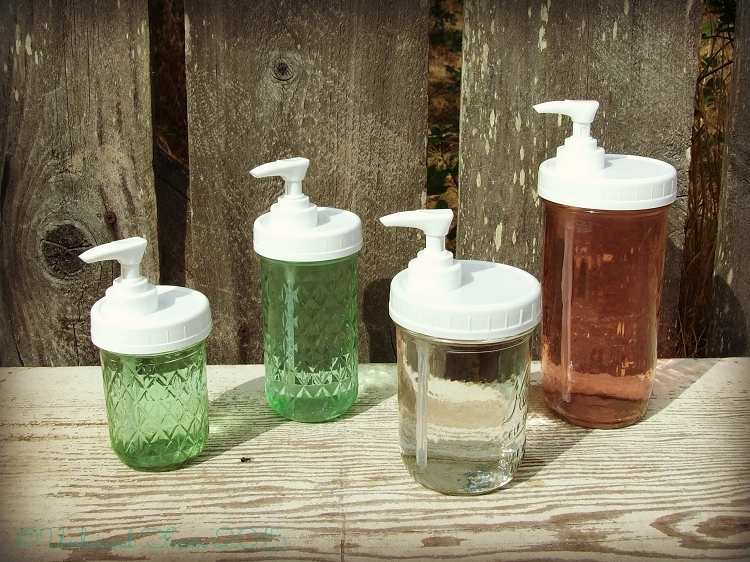 PUMP LID - You'll love the simplistic beauty of a mason jar for pumping your favorite liquid hand soap, or dish soap. They are a must have for every powder room and kitchen! 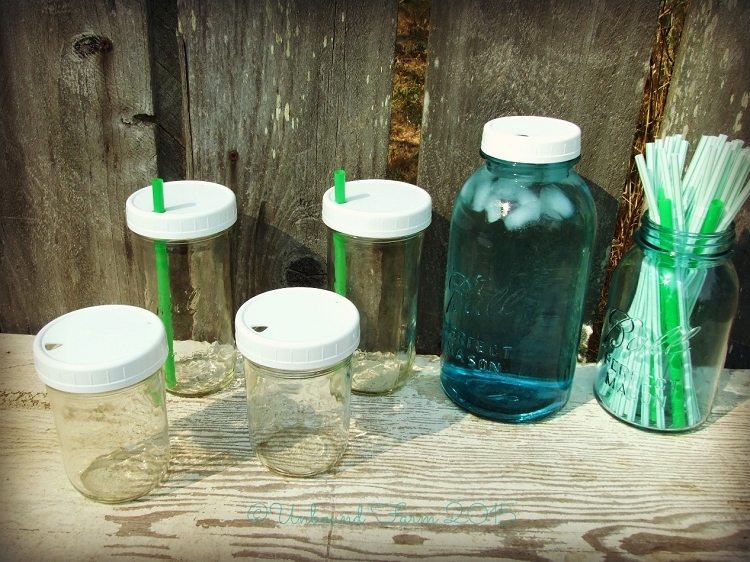 The lid will work with jars that are 6 1/2 inches tall and shorter (you can easily trim the straw with scissors to fit shorter jars if needed). Unlike metal pump lids that rust, ours are made of BPA free plastic and will never rust. 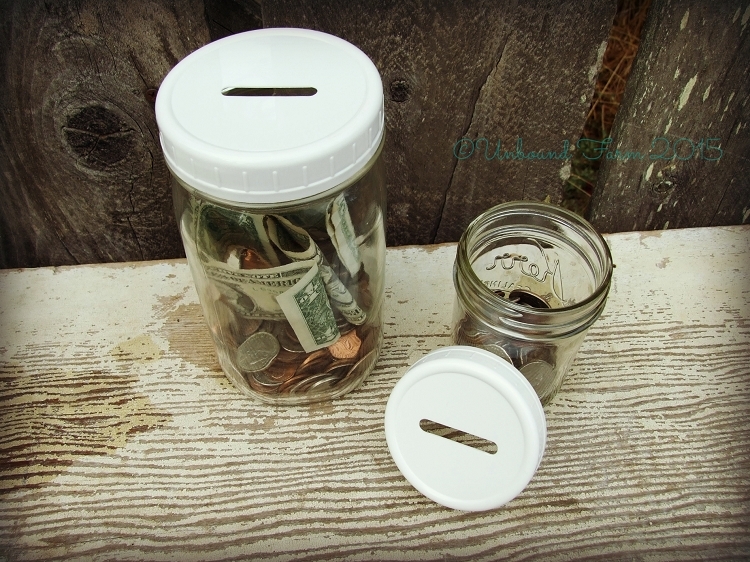 BANK LID -Turn your mason jar into a piggy bank! The money slot is large enough to deposit folded bills and large coins.